noun /howss/ 1. a building for human habitation. I have always had a macabre fascination with decay and abandoned buildings. Watching as father time takes his toll on those things we build, thinking they will stand forever. This house held a special fascination for me, as all the exterior and interior walls had been stripped, leaving behind what looked to me to be a skeleton. I can just imagine it as a haven for the ghosts and spirits that inhabit the realm it is passing into. 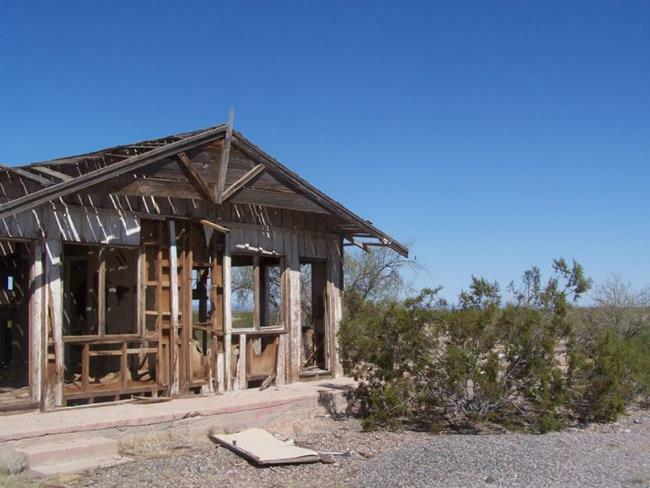 It sits along a vast and barren expanse of interstate 8 in the Arizona desert somewhere between Yuma and Gilla Bend. Cars zip by this area of nowhere on their way to somewhere, while this house looks on, remembering all who pass, and forgotten by most. Its memory is not gone, for it has touched the heart of this artist, and will live on as long as I can remember.